Election Day results are a source of celebration and relief for the understaffed San Jose Police Department. The success of Measure F means the city can repair some of the damage done by a past pension reform movement. San Jose said it has lost 500 officers since 2008 and Measure F was the only way to stop the bleeding. Once 16-year veteran Sgt. David Woolsey knew Measure F passed, he made a decision to stay at SJPD. "I was looking at two different agencies actually, both offered better pay and both offered better disability provisions if I got hurt on the job," Woolsey said. "It's a dangerous job. So with the passage of Measure F, I don't have to do this." The new measure essentially restores disability and some other benefits cut by 2012's Measure B. The cutbacks caused cops to leave and made it difficult to recruit. Even though the police academy currently has more than 30 cadets -- the biggest class in years attracted by the promise of Measure F -- three already left for better offers. "Before we're getting recruits, but we were losing out the other end," SJPD Chief Eddie Garcia said. "We weren't gaining quick enough, and now we're trying to stymie that." Mayor Sam Liccardo said the first new incentives of Measure F could be announced as early as next week, including recruiting bonuses and outreach programs targeting veterans. "I expect we will be able to implement virtually everything we need to do by the beginning of 2017," Liccardo said. Liccardo also said there will still be more than $40 million to tax payers from the old Measure B. The police union is grateful to see many voters who apparently backed Measure B come full circle. 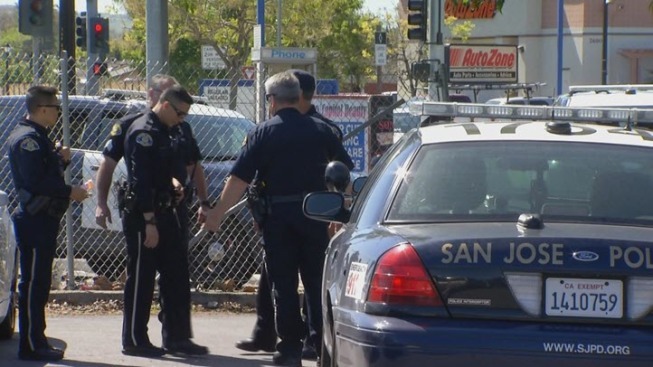 "We answered the call for service no matter what, but now to see the overwhelming vote for Measure F -- it's huge," said Paul Kelly, president for the San Jose Police Officers Association.